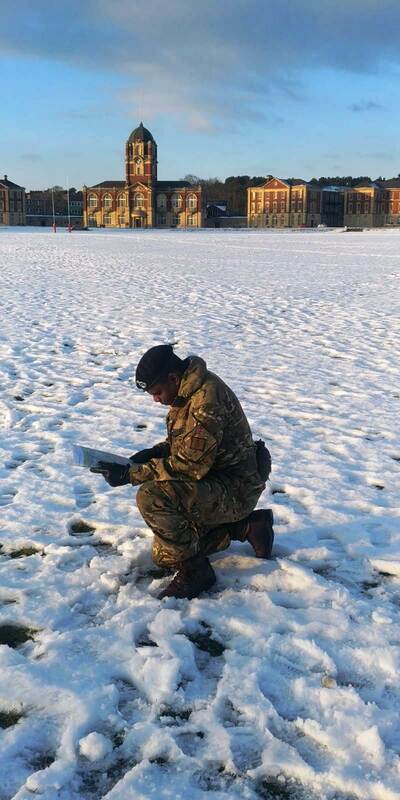 The Royal Montserrat Defence Force (RMDF) is proud to announce that 2nd Lieutenant Darion Darroux is currently on training in the UK. 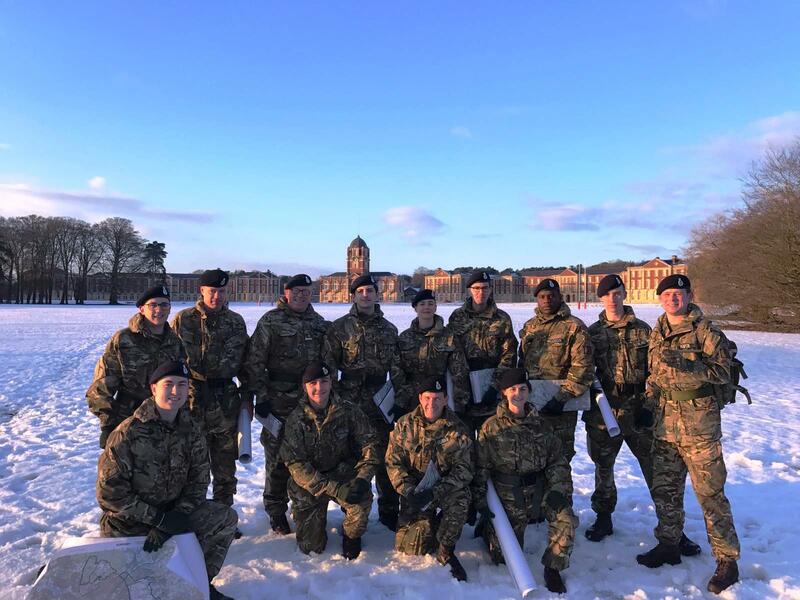 He is undertaking the Officer’s Commissioning Course at the Royal Military Academy at Sandhurst. This course commenced on January 28, 2019 is slated to run for eight weeks. This is the same course which reserve officers of the British military as well as other officers in training from around the world would attend to qualify for their commissions. 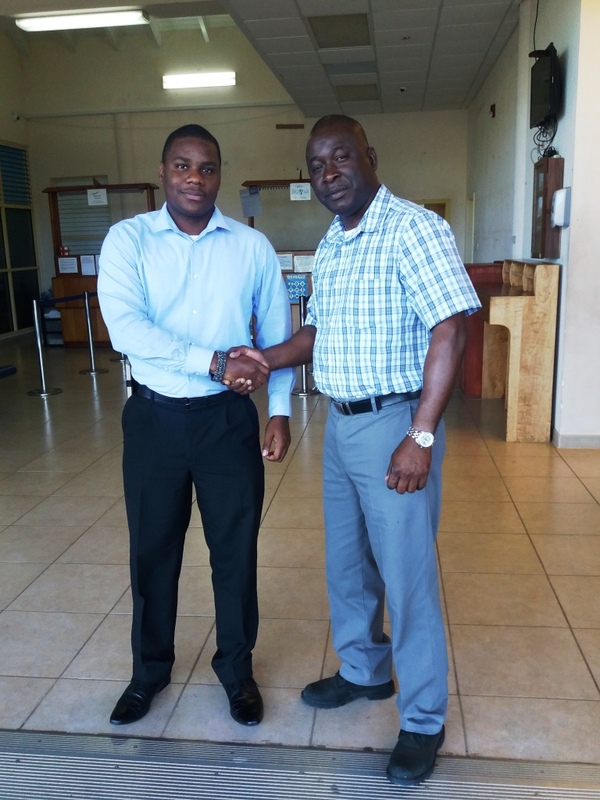 2nd Lt Darion Darroux and Major Ryan..
Darroux’s attendance was made possible through support of the British Defence Adviser’s Office based in Jamaica. The Officer’s Commissioning Course is an intense, challenging course designed to teach the fundamentals of soldiering and develop Officer Cadets as leaders. The course is divided in four modules each with a two-week duration. These topics cover Foundation in Military Skills, Tactical Command as well as Command, Leadership and Management. The course has an enrollment of 36 Officer Cadets with 8 of these being from military units from within the Caribbean region and Asia. On hand to see Darroux off were Major Alvin Ryan, Commanding Officer of the RMDF and Lt. Glenroy Foster Adjutant of the RMDF. The Force wishes 2Lt Darroux all the best on this training opportunity and look forward to his return upon successful completion.